A flying undead that's not incorporeal is a nice addition. The pose is great. It is very green though. This miniature boasts a dynamic pose and excellent detail for a common. The wings are wicked looking, especially with the small holes torn in them. There's a tension in its pose rarely captured in a miniature - it looks like it is about to pounce on a poor PC. I'd have no problem multiples of these in future boxes! 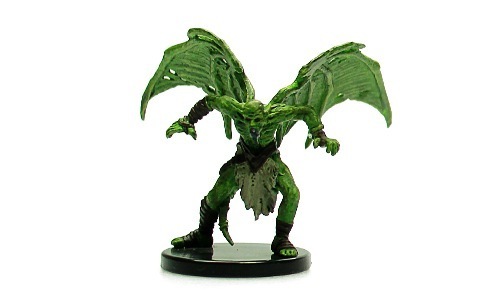 Sign in to start a discussion about Pathfinder Battles—Wrath of the Righteous: Berbalang!